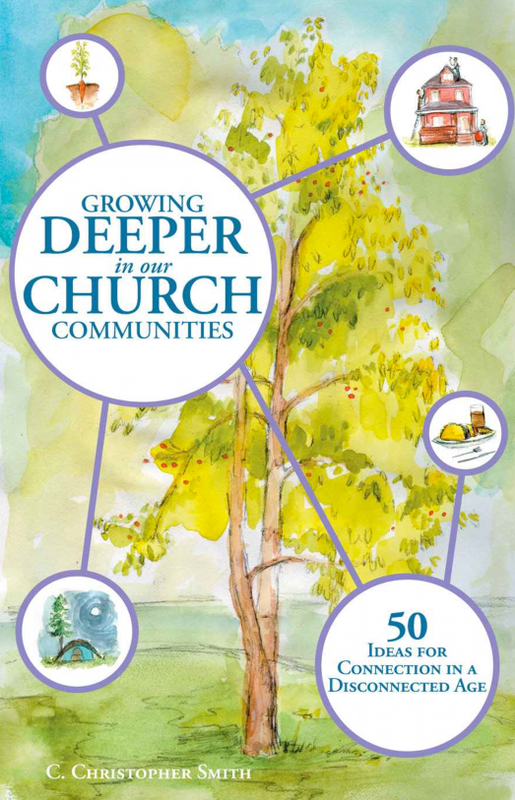 To help Connect with People, Connect with Place, Connect with the Mission of God, Growing Deeper includes an introduction and then a brief summary of each of 50 possible ways a local church can be together for each other, for worlds around them and beyond them, creating concentric circles of influence. This handbook suggests many ministry/service avenues and options beyond a typical feed the hungry, visit the sick, share the word. Though it probably would take a congregation of around 100 to 200 to routinely accomplish the full range of suggestions, even a small house church of about 20, or segments of a larger, already program-sized church of 200+ could discover many ways to enrich the lives of each one by sharing their own gifts and abilities, and by receiving from others in areas where they lacked. For the most part, these would work only in a suburban or urban setting, probably not in a far-flung rural one-point or multi-point pastoral charge. Some suggestions are specifically pastoral or diaconal in character; others more free-ranging and imaginative. Every one of these entails interacting with others, helping folks of all ages, in every situation, feel less isolated and more needed. After all, even a bright, energetic teenager who's already into many school activities, who appears to be every parent's and every teen's ideal, can feel isolated and not needed. The title of each ministry idea gives a hint of what it's about; a paragraph-long summary of each outlines possibilities to discuss and possibly implement. My review is more abstract and general, but in this blog I'm listing some of my own experiences as a called professional in the church and as a "volunteer," though every one of us is called, so that dichotomy doesn't really hold. I'm also considering my current desires, hopes, and gifts for myself and for my neighborhood. My own square one was the (small, diverse in ethnicity, age, class, education, and abilities) inner-city, activist, devotional, semi-liturgical, ecumenical, ABC-USA) first church ever where I was involved, and where most of us did a lot of these, including the not specifically list in this book often exchanging services and goods―baby sitting for a meal or two, a piano lesson for homework help. We enjoyed the serious commitment of week night "Holy Club," a book discussion and refreshments in a different's person's home each week, bible study in the church building, corporate worship, country retreats, political campaigns, neighborhood politics and improvements. Which ones have I experienced and enjoyed (recently or in the past)? 2. Connect church members who live in close proximity. – did this at several parishes in various ways. 3. Meet together throughout the week in people's homes. – "holy club," featuring theological or spiritual book chapter discussions. 4. Visit the sick. – as member of pastoral staff, and taking along parishioners. 7. Spread the "pastoral" work around among your church members. – explains itself in terms of visitation, community outreach, occasional preaching, distributing bread or cup during Sunday liturgy, taking communion to homebound members. 8. Take a camping trip. – church camping weekends; non-camping rural church retreats. 17. Create an "Unwanted Stuff Exchange." – not quite an exchange, but a neighborhood thrift store in the church building with very low prices. 19. Find ways to connect and collaborate with other churches in your neighborhood. – mostly local ecumenical ministeriums, also some other programming that involved more than a single congregation of more than a single denomination. 24. Nurture inter-generational relationships in the family of God. 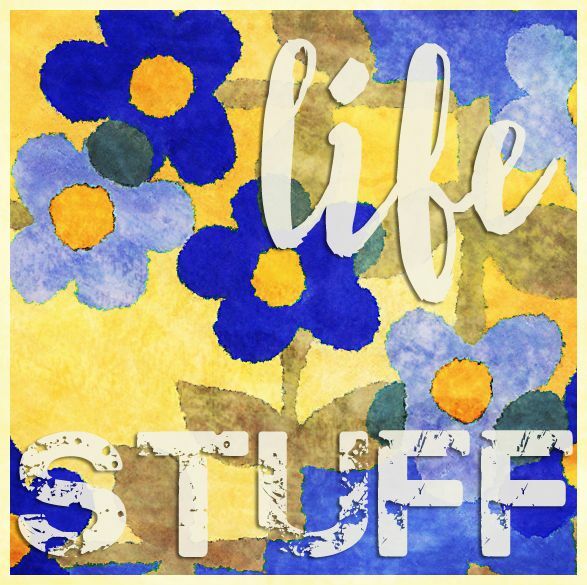 – Weeknight Bible study and dinner in the church building; current Thursday evening community dinner. 26. Engage children and teens in regular, meaningful activities in the life of the church. - serving as liturgist during worship; serving on session, council, or a committee (other than youth); youth group leadership and participation, also. 28. Share your church building with another congregation. – one or more congregations of another denomination nesting in the building at least on Sundays, sometimes sharing the space for weekday activities, too. 29. Find opportunities for your church building to be used throughout all the week. - 12-step programs, recreational and other programming for youth, older adults, working adults, parents; neighborhood groups meeting in the building for low-rent or for free. 30. Encourage church members to get involved in neighborhood organizations. – store front improvement, community cleanup, merchant organizations, school board and city council campaigns, family court advocacy. 34. Buy as many supplies as possible from locally-owned merchants. – find out who they are. Do they offer discounts to regular customers? 36. Eat together. – potluck, lunch after worship, invite the world to a free or low-cost meal. 39. Plan a neighborhood cleanup day. – yes. 40. Plan regular workdays in your community garden. – We had a small garden behind the church building you could get a plot for the price of working it regularly. 42. Provide extra-curricular activities such as sports or arts for children in the church and neighborhood. – Afternoon after-school recreational program I write about infra,; we also had weeknight and Saturday tutoring; kids could get help with homework, older kids and adults to provide help. 43. Resist ready-made programs. – in recreational and Christian education programming, though we used some pre-printed curricula. 44. Give language to the shape of your life together as a church. – I wrote my congregation's Mission Statement, and, of course, prayers, liturgies, etc. I'd love to do more of this by myself and cooperatively. 45. Write your own specific songs or liturgical prayers. – this is more of 44. I haven't written hymn poetry, but I have composed several hymn tunes. 47. Celebrate All Saints Day. – yes. In many different ways! And not only at All Saints Church! 48. Examine the use of energy in your church building. – doubles on this one: guy from a neighboring church helped us asses our building's needs, provided resources for member's homes; I also helped with energy retrofitting in our large, aging building in another city. 49. Start a daycare. – We didn't start our own, but provided low-rent space for Wesley II, or maybe that was Wesley III's daycare. What ones am I currently doing? 24, "Nurture inter-generational relationships in the family of God." Which would like to be doing? 21, "Utilize the gifts of the church's retired people in creative ways." 45, write more songs (maybe hymn tunes to someone else's poetry) and liturgical prayers. This is something else I have the experience and skills to help engage and teach others.